Wetlands provide a multitude of benefits to humanity that include filtering our water, ensuring biodiversity protection and mitigating climate change. Yet scientific estimates show that 64% of the world’s wetlands have disappeared since 1900 and the remaining ones are being degraded. To raise awareness on the importance of wetlands to humanity and highlight their role in protecting ‘our common environment’, 2nd February is celebrated as the World Wetlands Day each year. This date marks the date of the adoption of the Convention on Wetlands on 2 February 1971, in the Iranian city of Ramsar on the shores of the Caspian Sea. The Yamuna Biodiversity Park in North Delhi celebrates the World Wetlands Day each year with great fervor and excitement. This year too, the Yamuna Biodiversity Park invites the citizens of Delhi for celebrating the day by coming together for a discussion on the importance of wetlands and the need for their conservation. The invitation is extended especially to students, teachers, NGOs and neighbourhood communities living around the Park. It should be noted that the theme of the World Wetlands Day this year is Wetlands for Our Future. 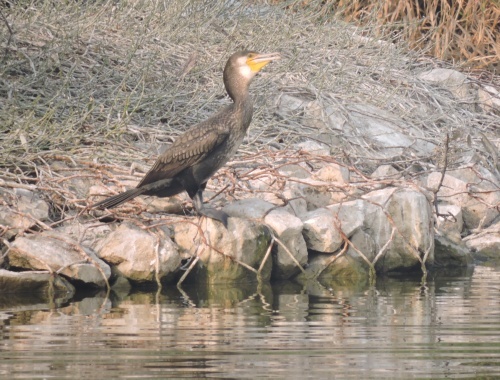 The YBP is an excellent and innovative conservation experiment that has been implemented as a joint project between the Delhi Development Authority and the University of Delhi. The trip to the Yamuna Biodiversity Park, an open air ecological and environmental studies laboratory, is a great learning experience for students and citizens from all walks of life. Great event..we should celebrate this around every wetland in Delhi.